York Fine Arts offers a free, no obligation home viewing service to view artworks in the comfort of your own home. Whether you wish to see how an artwork works with your space, or simply want to see the artwork in person, the gallery’s home viewing service is a convenient opportunity to add to your collection with confidence. The gallery’s home viewing service aims to make the process of buying fine art as convenient and relaxed as possible. 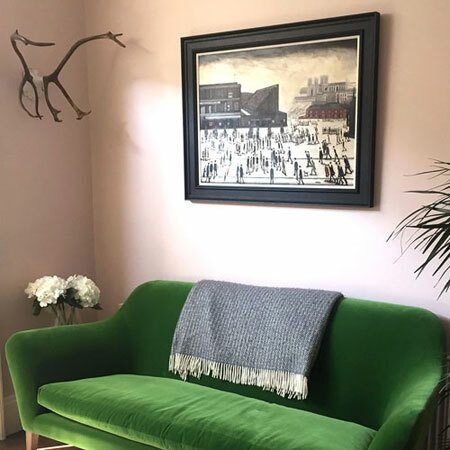 If you wish to view multiple artworks, the gallery will happily bring up to five artworks to your home to ensure that you have the same level of selection as you would at our galleries. Additionally, artwork may be left with you for up to two hours while you consider your selections, leaving you free to make a confident, pressure-free decision. To start, click on the Home Viewing button on the artwork's page.